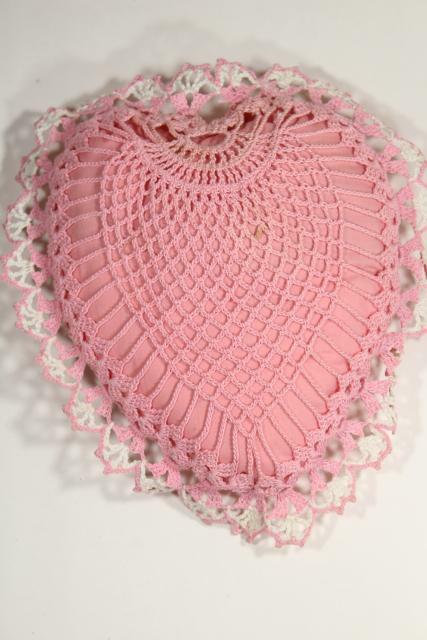 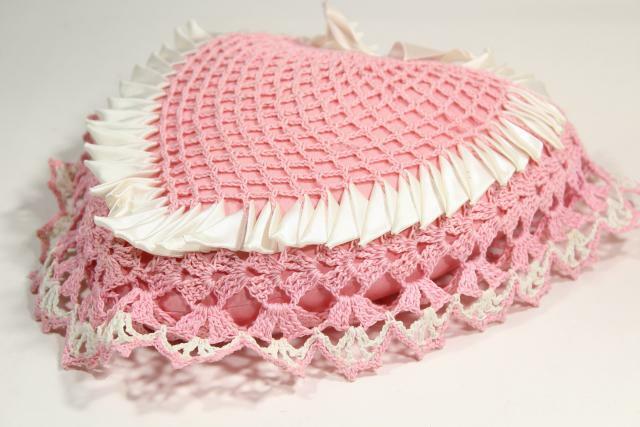 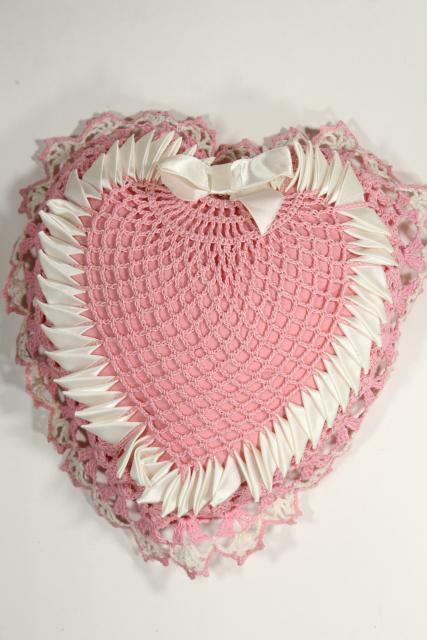 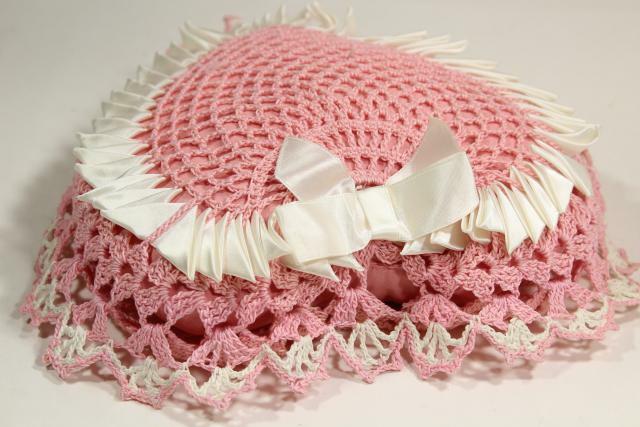 Vintage crochet lace pillow, a heart shape about 11 1/2" x 10 1/2" across the lace edging. 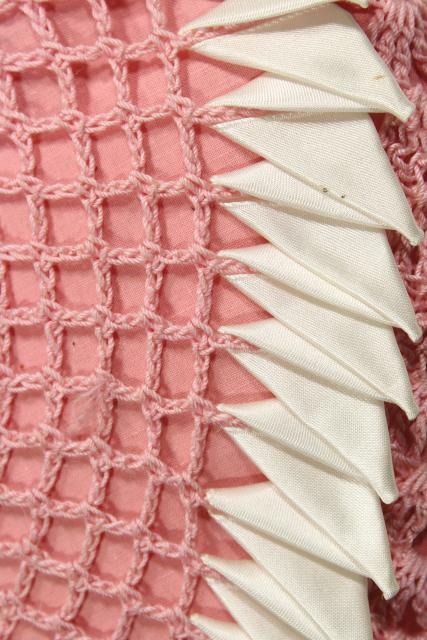 This has a few little spots, but looks very nice overall, without fading. 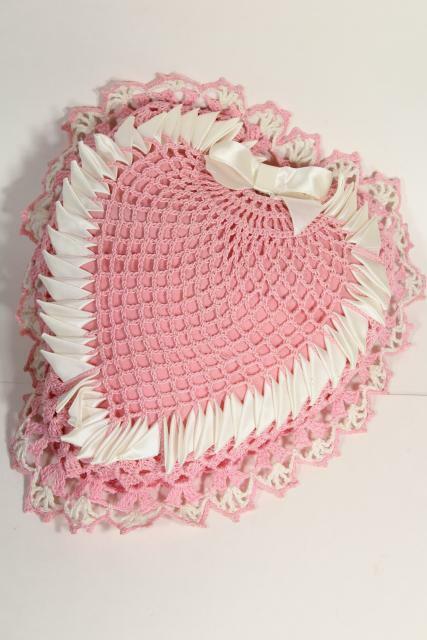 Pretty for a wedding, or Valentine's day holiday decor!